So that’s lifts and parking on first floor. 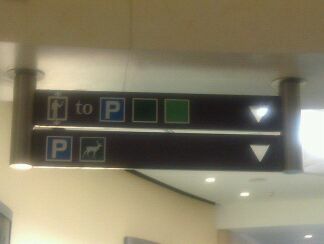 Parking and deer in basement. I think it’s lovely they realise that Father Christmas needs parking advance. Well I just hope ole St Nick reads my blog so that he will know where to go! Bluewater? I am close to BW Whereabouts is this sign??? So funny!